In a next-day-delivery, flat-pack world it can be reassuring to own something that wears its heritage and craftsmanship like a badge of honour. 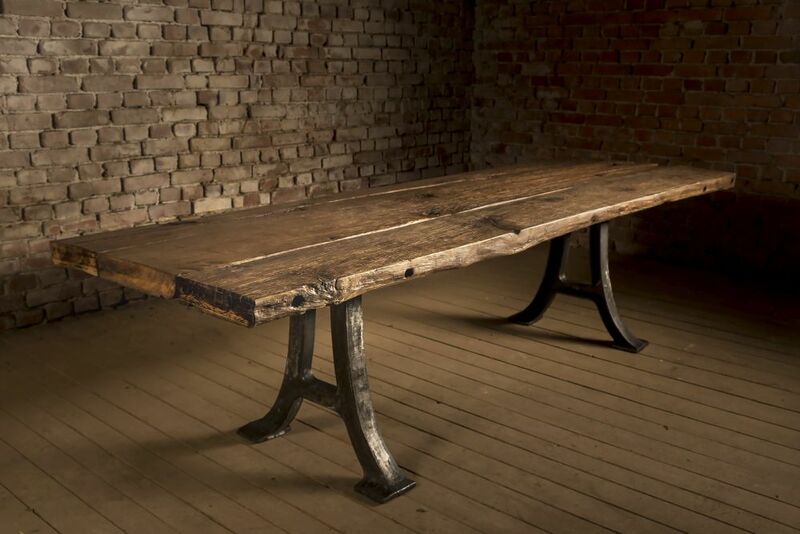 The 'Old Barn' table is one such item; beautifully crafted from reclaimed timbers and hand cast iron. The timber of the top of the table comes from two different sources, one a British icon of times gone by and the other the rustic remains of rural life. 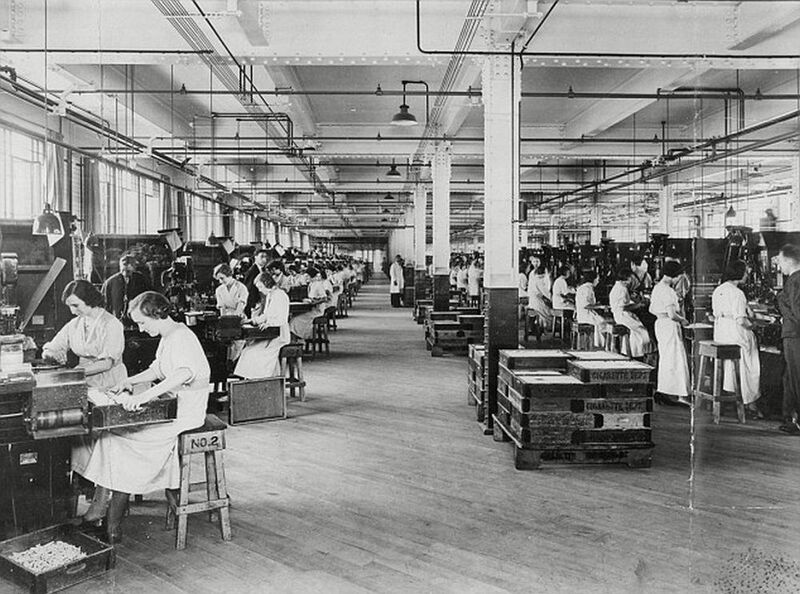 The smooth maple top is made from the floorboards of the now demolished Ogden's tobacco factory in Liverpool. Having taken on the mellow hues of 150 years of tobacco production, the thick boards have been lovingly sanded and given a golden finish, which brings out the beauty of the wood without removing the patina of age. The second top is made from the reclaimed wood of an old barn in southern Poland. Carrying the marks of at least a hundred years of cold continental winters and hot summers, this table's beauty is in the grooves and cracks that make it unique. Be warned though, you may want to use coasters for your champagne flutes. Both tops are set upon a hand cast iron base. To create the base, the casters make a sand mould of the master cast and then hand pour the molten iron in. When it has cooled, the one-use sand mould is broken away to reveal the new casting. Although all the castings are the same, in that they are based on the same master casting, the very nature of the single item process means that each is unique. 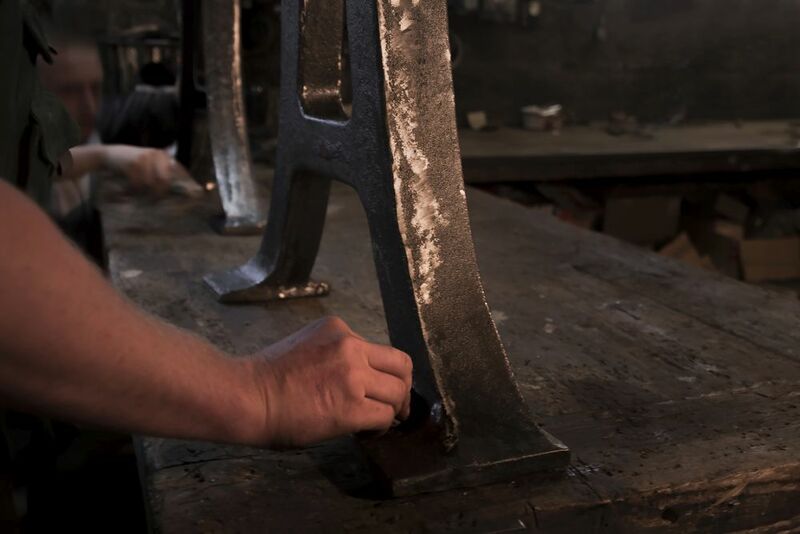 The legs are then finished by hand to smooth edges and in doing so give them another layer of individuality. The assembled tables create an instant feature in any room, as comfortable in a listed building as in a modernist open plan space. 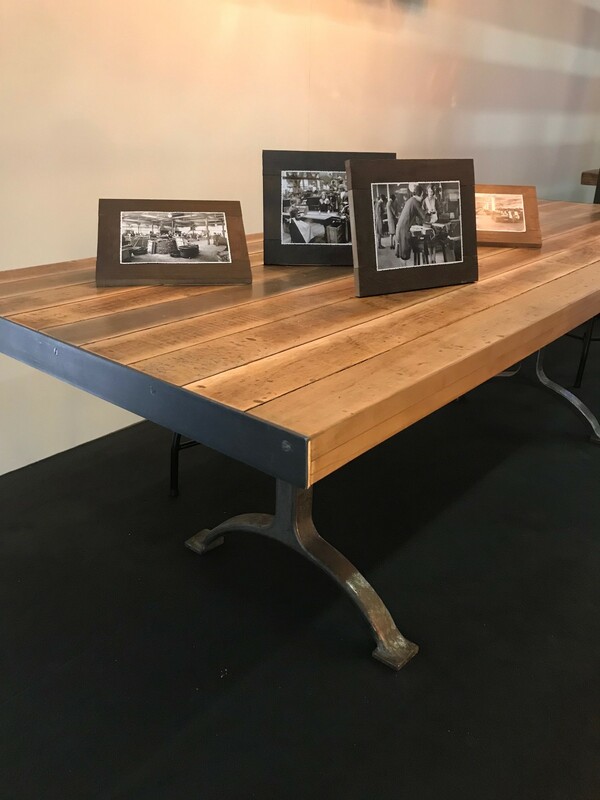 The limited quantity of the reclaimed materials and the labour-intensive nature of the process means there will be a limited number of these tables ever made, if you would like one of them to be yours then please contact us about reserving one.